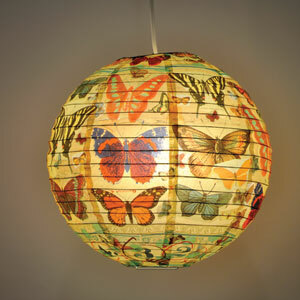 This alluring lovely light will not only attract the winged creatures, but those 2 legged ones as well. Bring nature indoors and let it glow. Design by Roy Fox. Includes spring-action expander. Cord Kit NOT included. 13 3/4″ diameter.